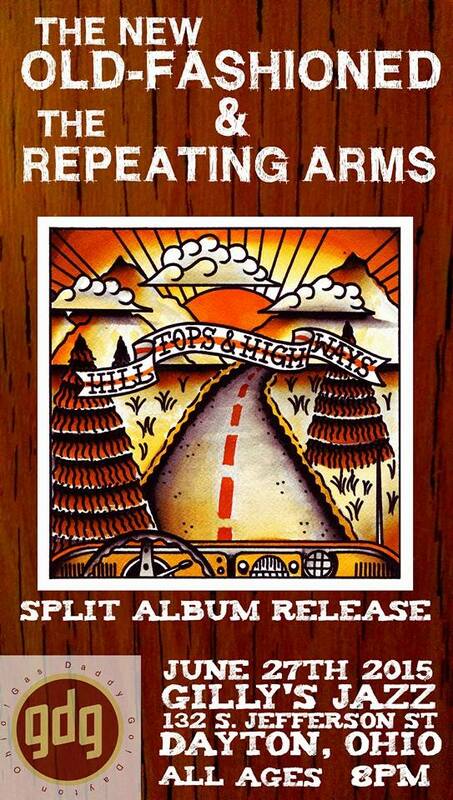 This week we are beyond excited about new music from two of our favorite Dayton, Ohio bands – The New Old-Fashioned who are already finishing up their sophomore full length hot off the heels of The Ladies 7″ record and The Repeating Arms who always are incredible in all that they do! 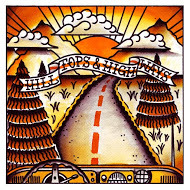 The two bands are not only “splitting” a six-song EP ‘Hilltops and Highways’ but in the truest sense of collaboration these two bands recorded and worked directly with each other on the songs. No where does this shine more brightly than on the tracks that open and close this EP. County Jail Hymnal showcases the vocal abilities of the singers of both bands. This lonesome (dare we say Hank Williams-eque) plaintive aching song demonstrates what is captivating about both of these bands: quality song-craft! And the combination of both bands on ‘Some Nights” is a powerful gestalt of the vocals, guitars, steel, drums, and more. Rarely has a song taken on such real authentic urgency. And the ending of that tune has to be experienced. Heartbreak and sadness are simply palatable in the songs on this EP; throughout it you have fine musicianship, excellent chemistry and all around exemplary effort among the musicians. The fact that they have collaborated on-stage so much is well demonstrated in the work on these songs. ‘My Heart Still Loves You’ has Kent Montgomery of The New Old-Fashioned sounding like a countrified version of Matthew Sweet. We bet that Sweet wishes he could sound like that! While ‘Radio Waves’ – a real song about the devastating loss of a radio station to water damaged is powerfully evoked by David Payne. When he sings about ‘the signal getting weaker…” you feel the sense of losing a musical friend. And ‘Honey’ demonstrates why The Repeating Arms should be household names. Forget what you hear on country, folk, and alt-country radio – this is “the Real McCoy.” When Harold Hensley pleads with Honey not to go out tonight…” the hair on the back of your neck stand up. These musicians capture something that cannot be bottled and sold from a shelf. You can see these bands play these songs on June 27th in Dayton at Gilly’s Jazz! 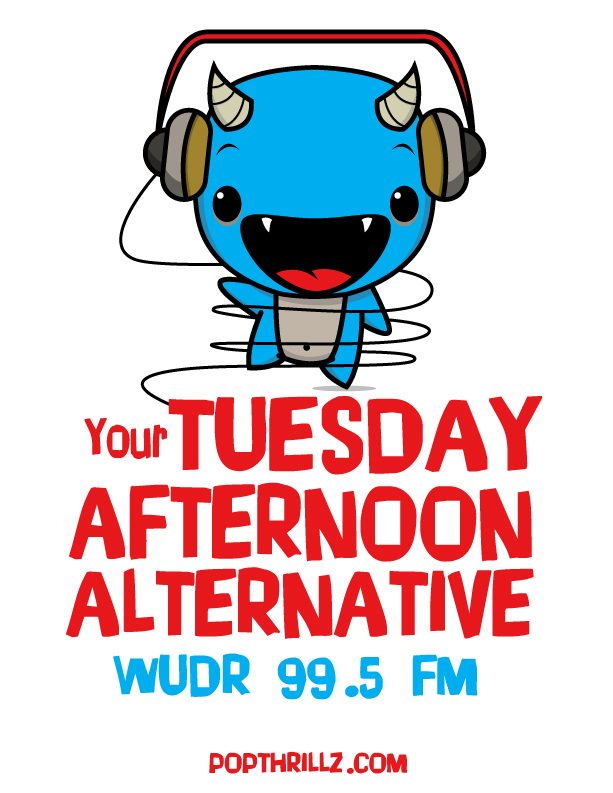 Of course, you can also count on a wide variety of terrific indie, folk, country, and more on the program tomorrow. We have tons of new music from so many… hang on to your hats: Waxahatchee, Lucero, Ryan Adams, The Mowgli’s, Vaadat Charigim, Thee Oh Sees, Mac McCaughan, Timeshares, BRONCHO, Great Lake Swimmers, Alvvays, Bully, The Mountain Goats, Built to Spill, Smug Brothers, Mittenfields, Charming Disaster, Gringo Star, and more! You can also expect some classic indie with Guided By Voices, The Afghan Whigs, and Teenage Fanclub!